Deetz came from a background of hard work—a long line of Reining and Cutting horses. Deetz was a rodeo horse racing around arenas while cowboys shot guns. Then he was bought and sold by a few owners that used him for jumping. He also did very well in this discipline until his last owners noticed he was in pain landing his jumps. Come to find out, Deetz had a fractured Sesamoid bone in his leg that caused him sporadic pain. 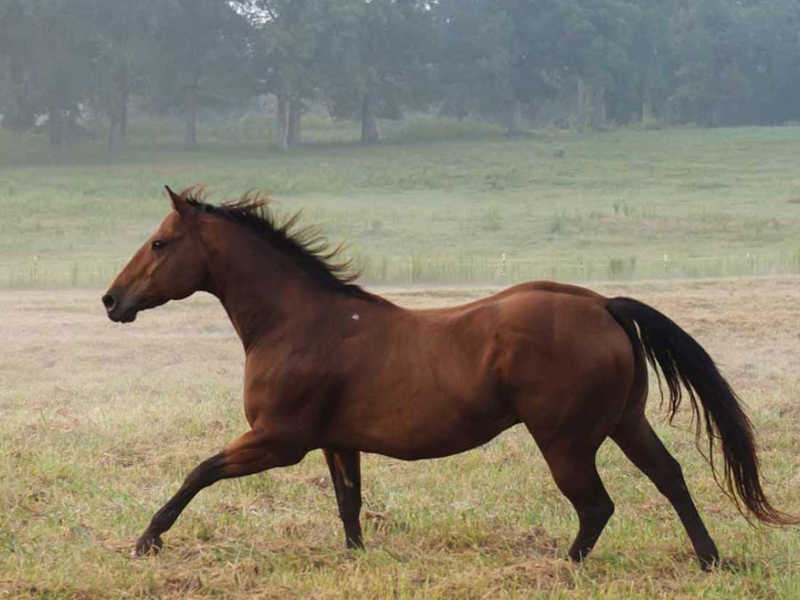 When Deetz’s owners found Hope Reins, he was a great horse with only a few limitations because of his leg. Now, Hope Reins is so glad to have this lovable guy around. Deetz’s motto is “Inspire me!” Often times we want things our own way, not God’s way. Deetz has a wonderfully clever personality, but he gets into trouble when he refuses to listen. Just like us, Deetz gets irritable when he doesn’t get his way. Yet we still adore him – we know that he is just splendid inside! Even when we get upset and things seem to go wrong, we can rest in the assurance that God made us and loves us – we are His creation! And when we feel unmotivated, we can always rest assured that if we just look at God, He will inspire and motivate us in new ways as we follow Him! Fun Facts: Deetz is the class clown of Hope Reins. He will play kickball in the arena, play with anything in his mouth, and do just about anything you ask of him. He is chief of the herd at Hope Reins, but is definitely gentle and fun for the kids.